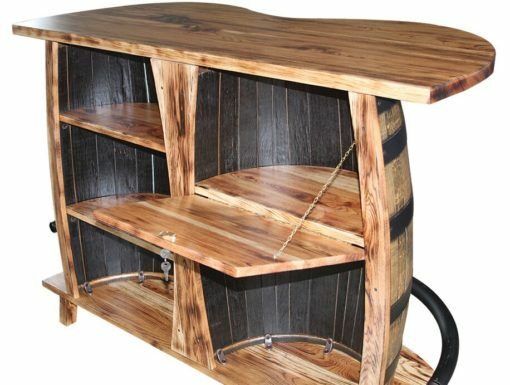 Split barrel bar. Made of real whiskey barrels. Made of quarter sawn white oak.